The world’s first purpose-built electric double-decker bus will enter passenger service in London this year, Mayor Boris Johnson confirmed today. 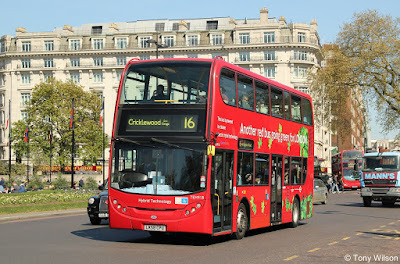 Manufactured by BYD, the zero-emission bus will operate on route 16 between Cricklewood and Victoria Station from October. City Hall says the trial, which follows the introduction of 1,300 hybrid electric buses, proves the capital’s status as an innovator in cleaner vehicles. Mr Johnson confirmed the trial as he hosted a ‘clean bus summit’ attended by representatives and major bus manufacturers from across the globe. He said: “I could not be more pleased that London will play host to these exciting pure electric double-deck buses, and I’m sure the lucky users of route 16 will embrace it with gusto. It was also confirmed that route 312, which runs between Norwood and South Croydon, will become the first pure electric bus route in the capital later this year when a fleet of new, electric single-decker buses are rolled-out. Stephen Knight AM, the Liberal Democrat environment spokesperson on the London Assembly, said the trial was “encouraging” but criticised Mr Johnson’s record in cleaning up London’s bus fleet. And he repeated crticisms of the Mayor’s decision to allow the buses into the Ultra Low Emission Zone despite them exceeding emissions limits. 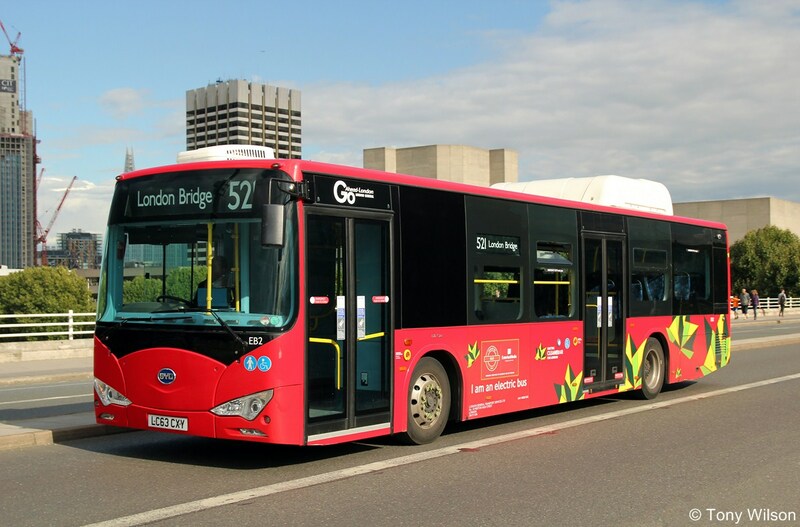 Two single-deck BYD buses already operate in London on the Red Arrow routes run by London General.